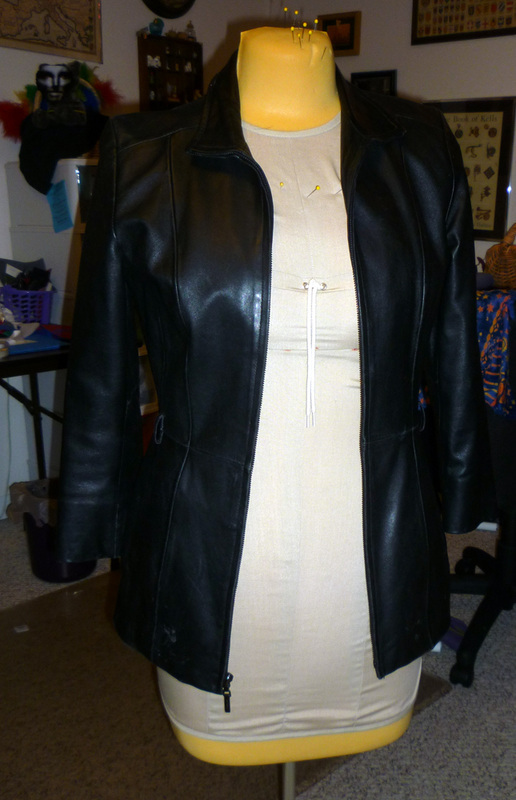 The double started life as a thrift store leather jacket. 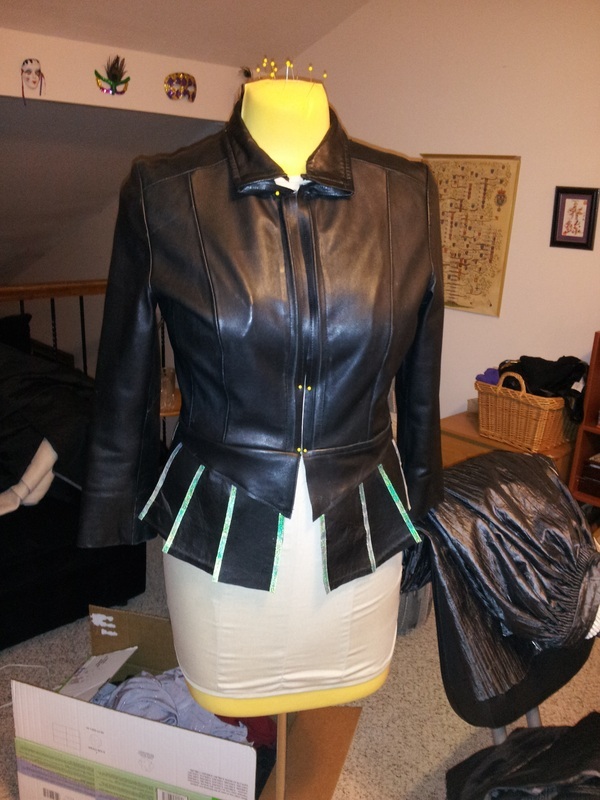 The bottom half was already made up of several strips; all I had to do was separate and trim them, and voila: instant peplum tabs. 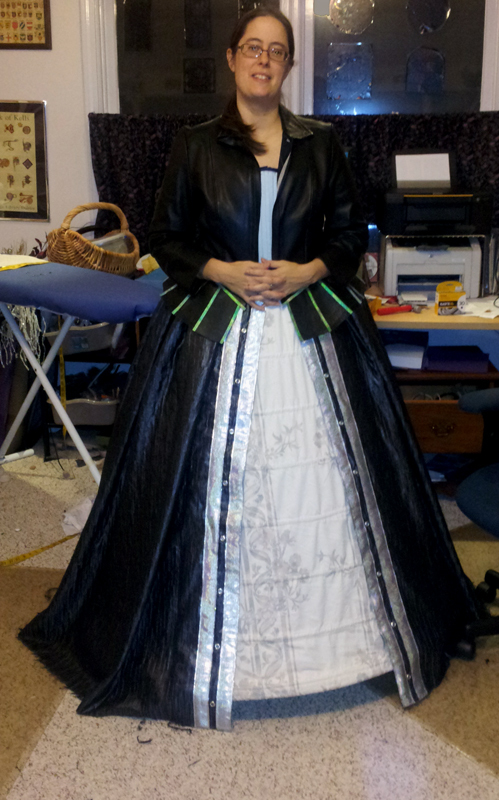 It's trimmed in cheap Mylar organza ribbon. 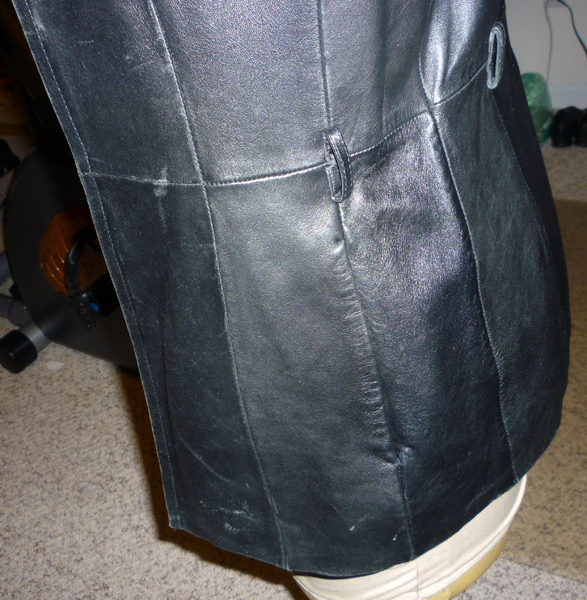 I took the sleeves off and re-attached them at the shoulder with cable clips from the hardware store, and sewed in little puffs of silver mesh. The breastplate is a piece of plastic armor I got at the dollar store. 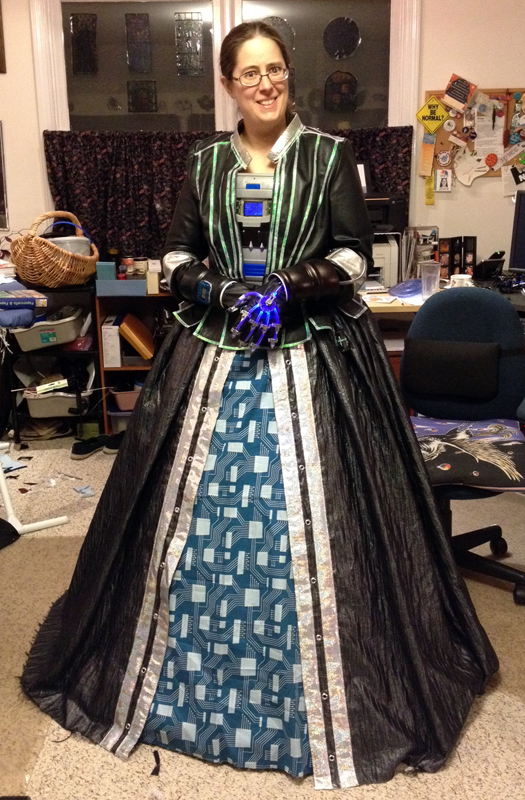 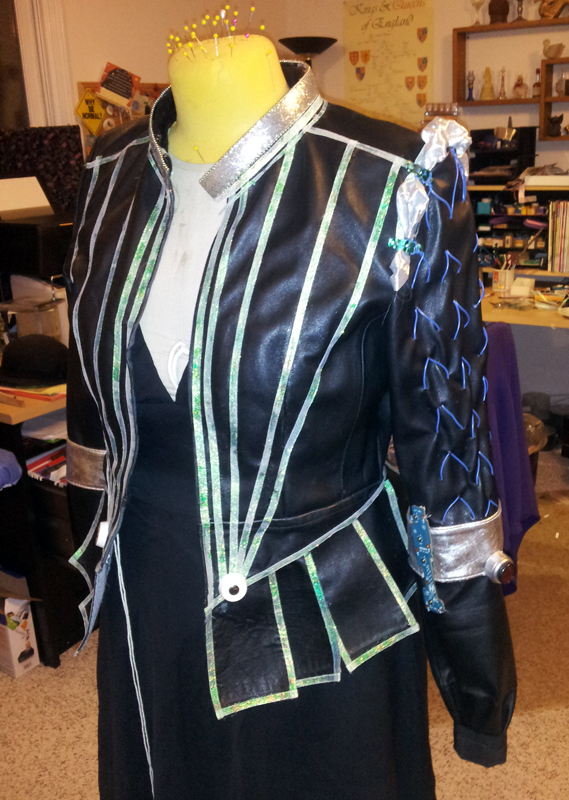 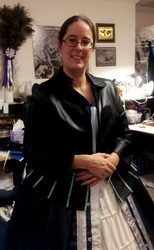 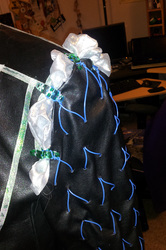 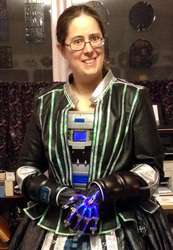 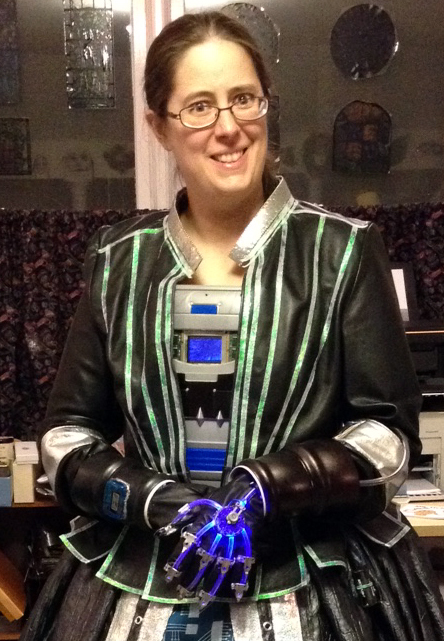 I heated it to create a curve, and attached it to the corset with Velcro. I created a looping video of growing circuitry to play on my old Nokia cell phone, and inserted it into the open part in the center.